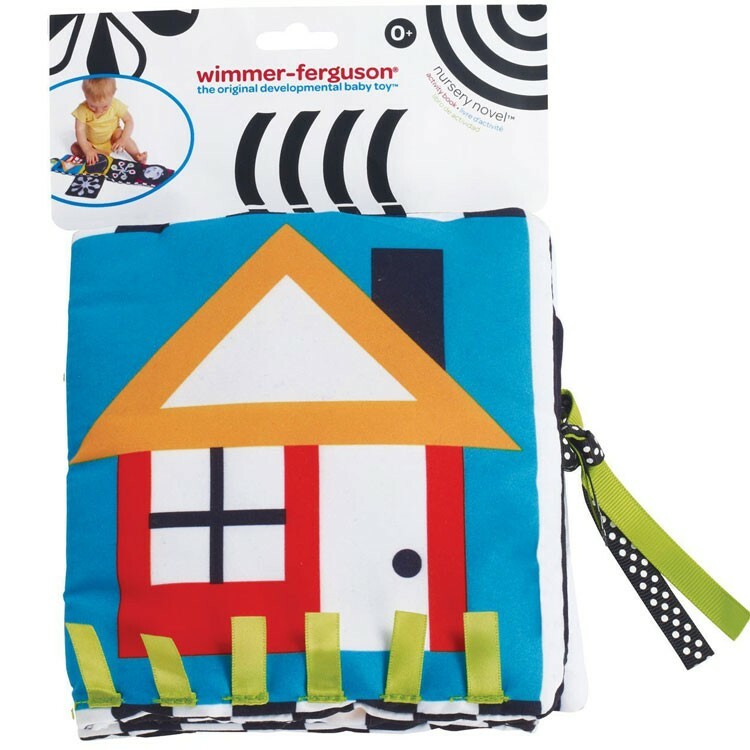 Wimmer-Ferguson's classic developmental graphics, crinkle paper flaps, peek-a-boo mirror make this infant toy parents' and baby's favorite stroller or carrier toy. 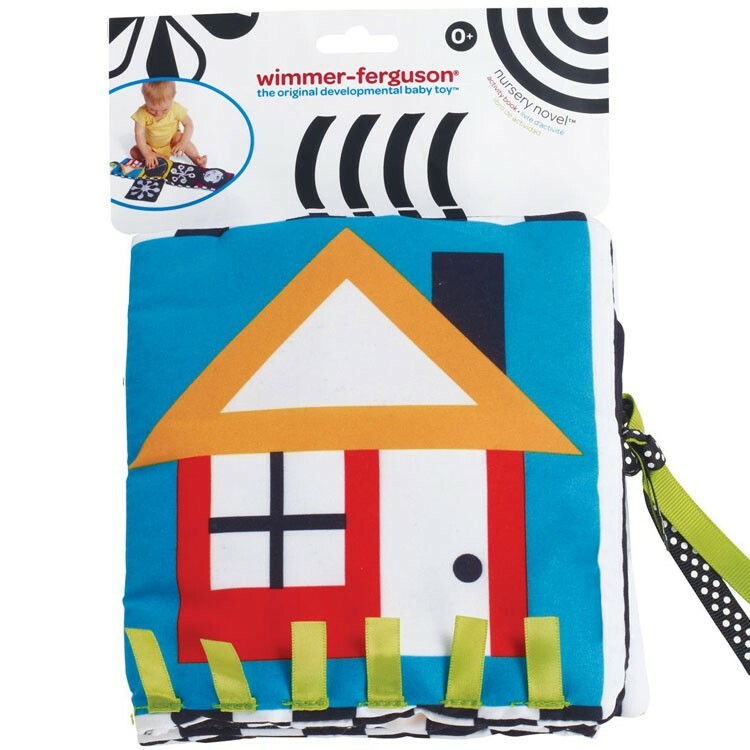 Wimmer-Ferguson is an original leader in designing baby products based on the pediatric academic research. Now Manhattan Toy and Wimmer-Ferguson bring a new colorful developmental toy that can develop your baby's vision in a crib, car seat, stroller or anywhere you go. 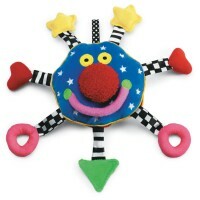 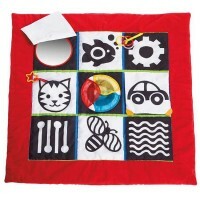 Wimmer-Ferguson Nursery Novel Baby Sensory Toy features high-contrast colors, patterns and graphic images. 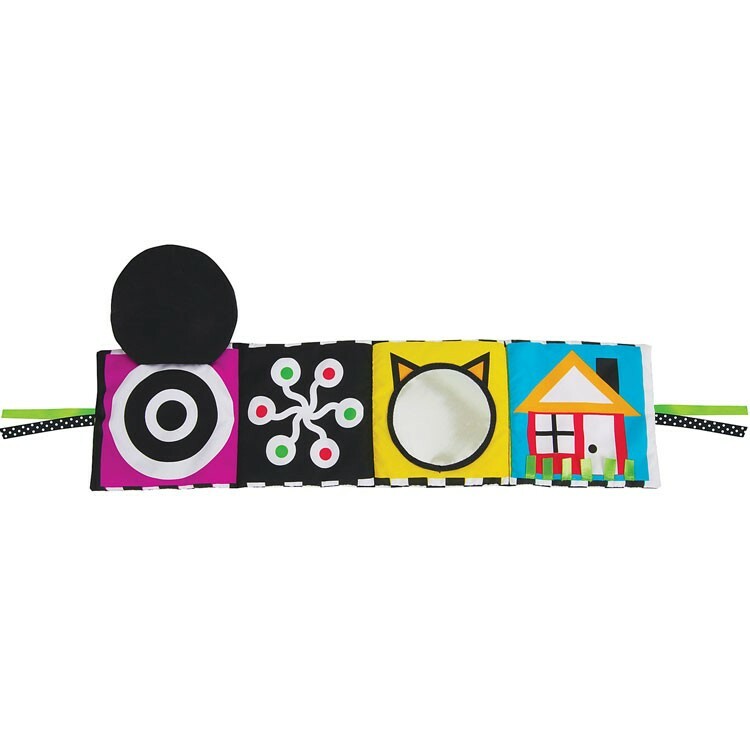 The baby activity plaything has black and white images, colorful images for more advanced visual perception, crinkle paper surprise flap, baby discovery mirror, and ribbons to tie the Nursery Novel to a crib or other play area. 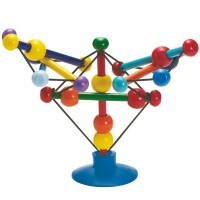 The Wimmer-Ferguson travel sensory toy can be tied to a crib or car seat with the attached strings. 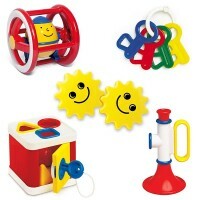 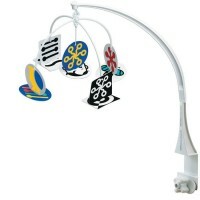 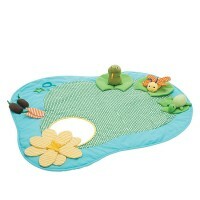 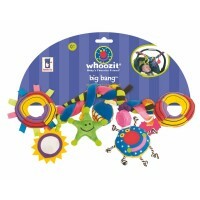 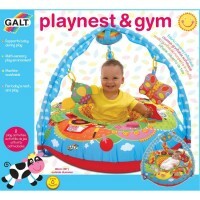 Unfolded this infant multi-sensory toy from Educational Toys Planet measures 22 x 8.5 x 1 inches. 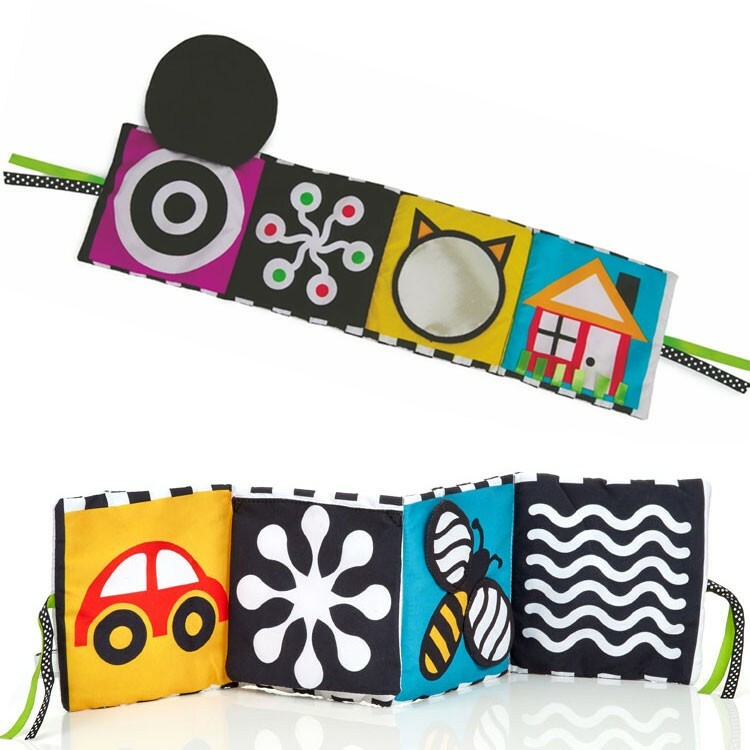 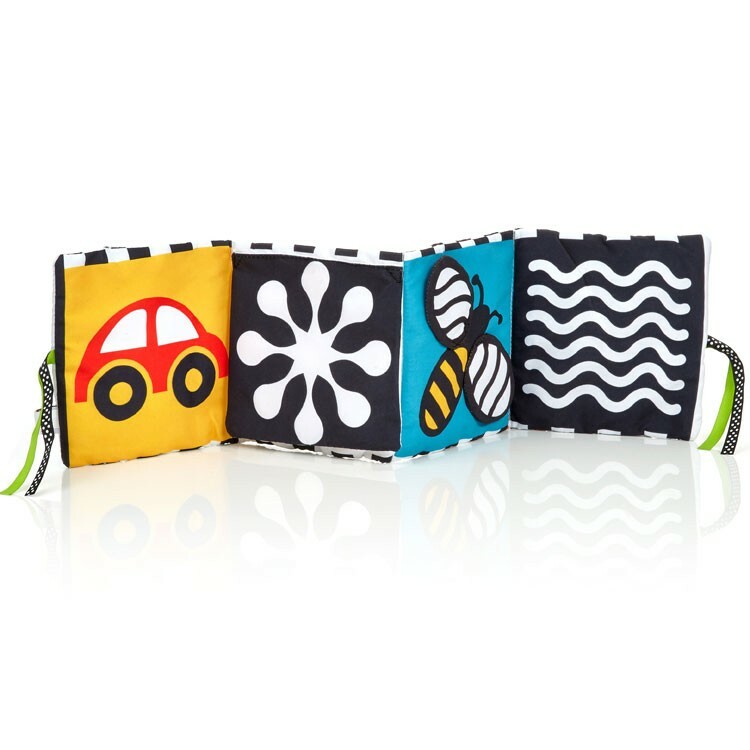 This infant toy folds into 6 x 6 x 3 inches travel toy. 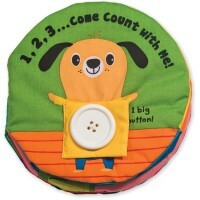 Dimensions of package 2" x 22" x 6"
Write your own review of Wimmer-Ferguson Nursery Novel Baby Sensory Toy.